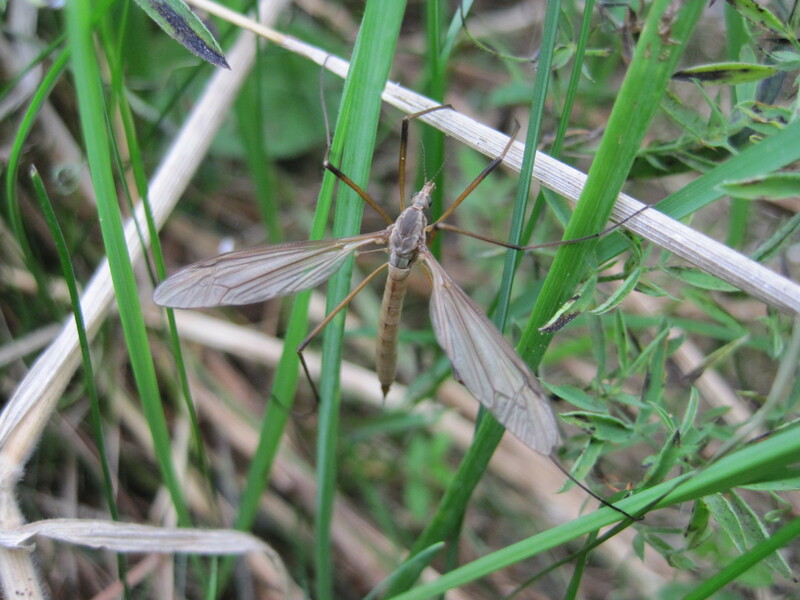 This page shows some of the photos of insects and molluscs, etc., taken recently on the Mayfields Public Open Space by Mike Ridealgh, Pam Brown and other MCT members. 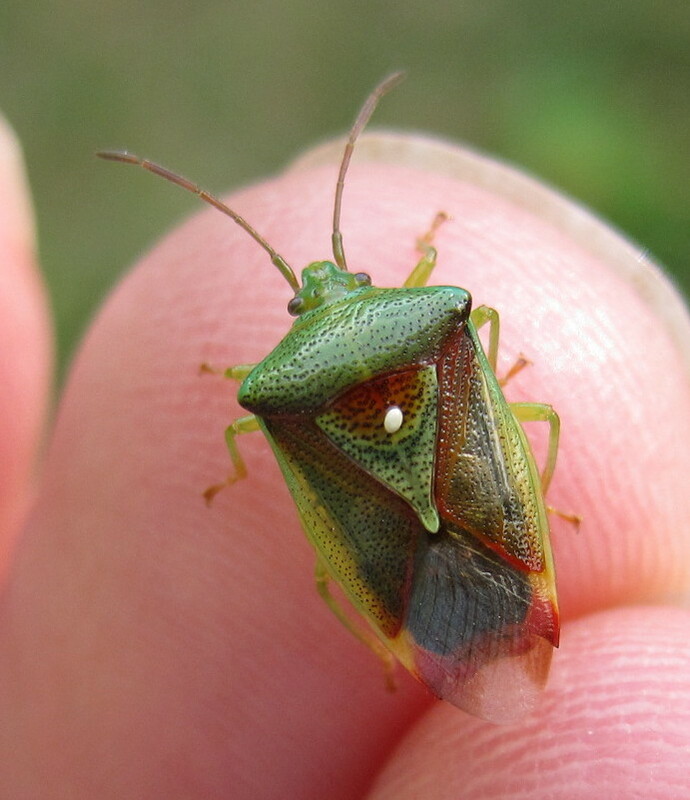 A 7-spot ladybird, a Froghopper and a Common Soldier Beetle (on 13 July 2017). 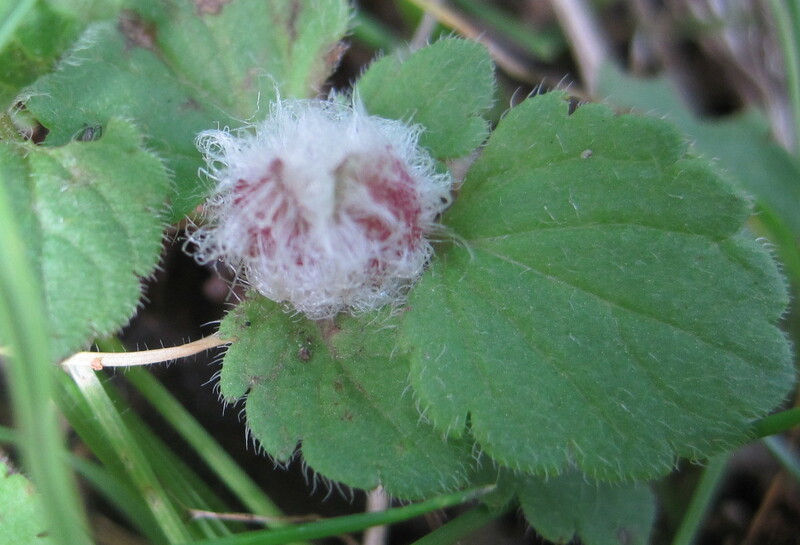 Gall midge, about 2 mm long, on Germander speedwell. 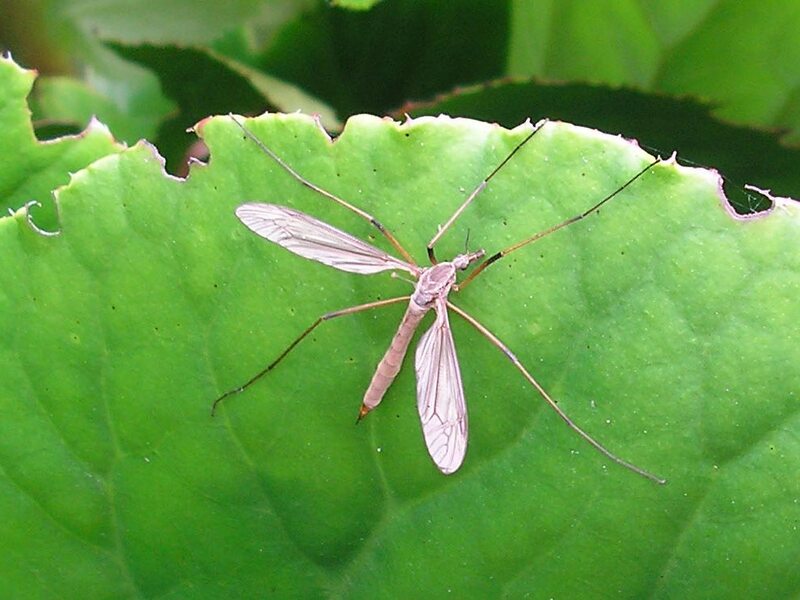 These midges are flies in the family Cecidomyiidae. 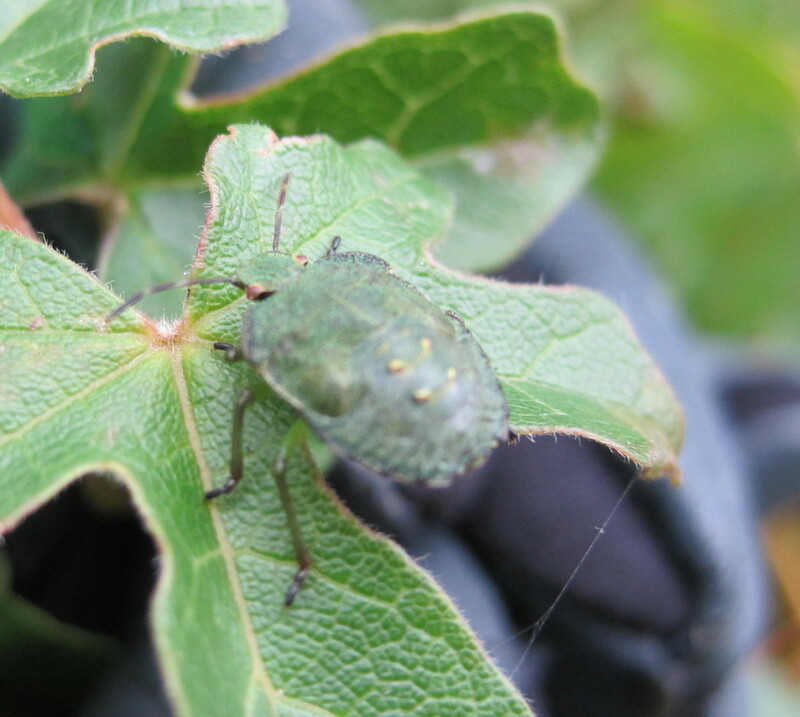 Photographed below by Mike Ridealgh on September 13, 2015. 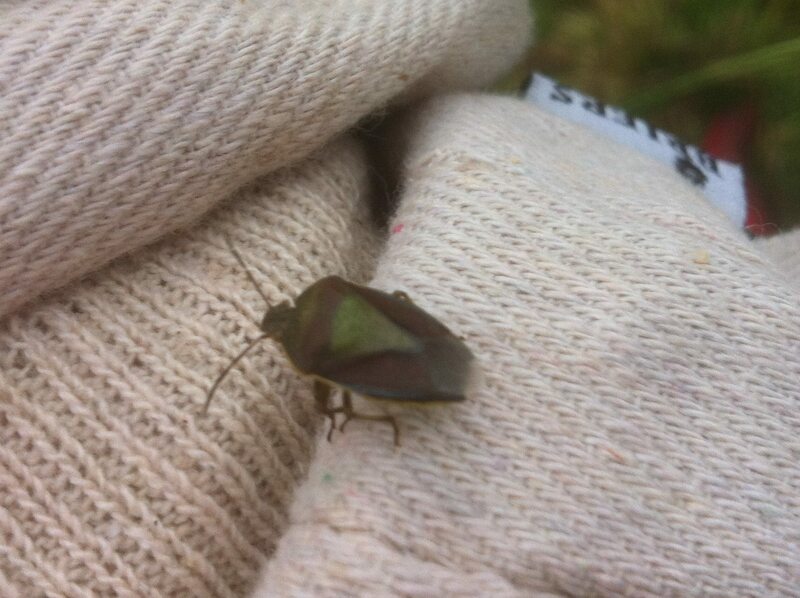 Mike’s itchy ear on July 23rd was apparently the result of a brief visit from the Birch Shieldbug shown below! 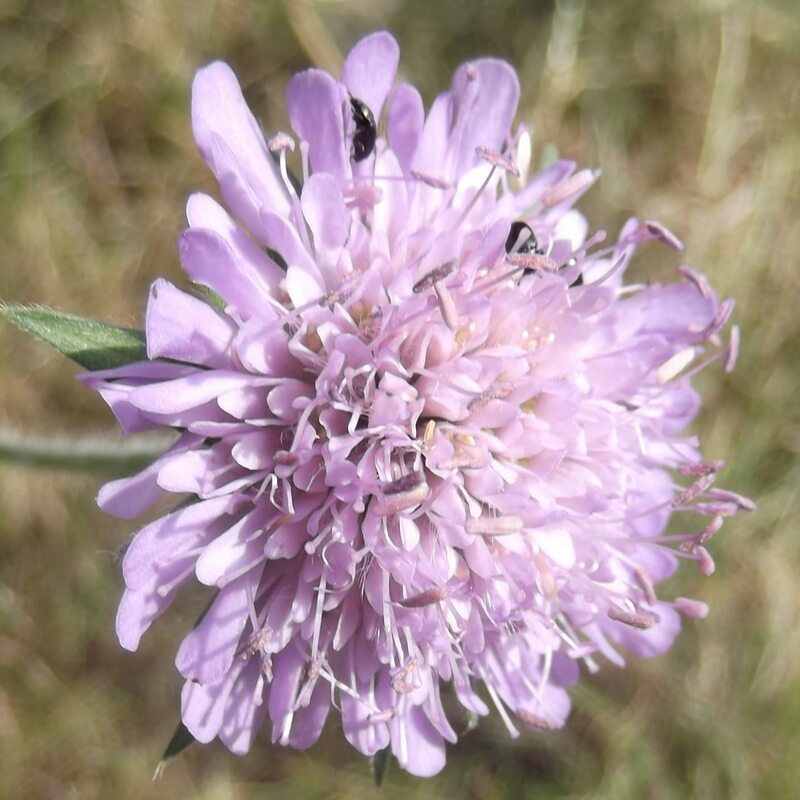 Hard to spot the tiny insects at the top of this Scabious flower in mid July 2015. 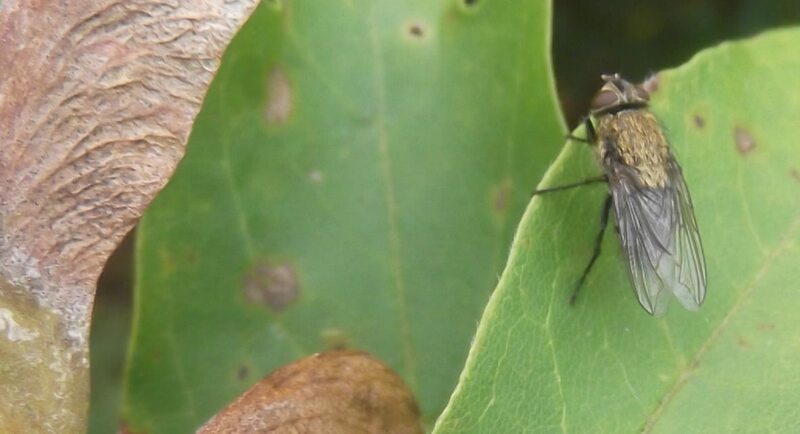 Malcolm caught them after the bee he was attempting to photograph made a hasty departure. 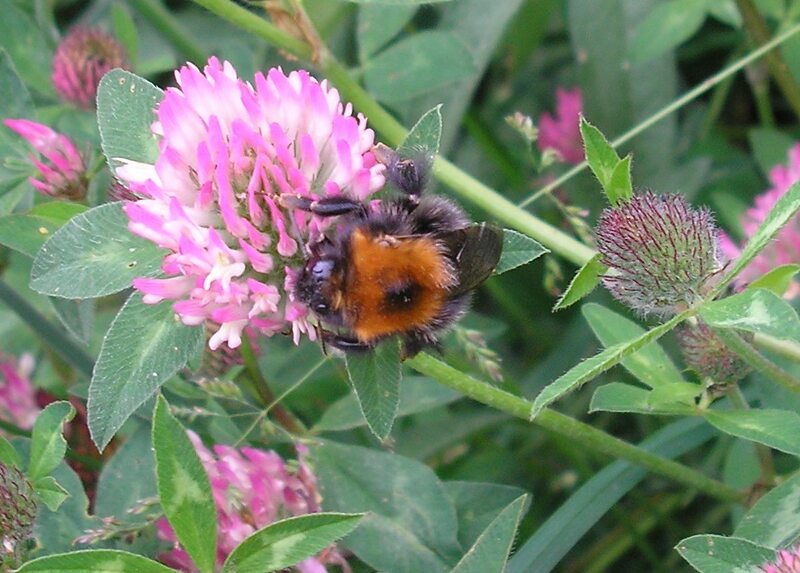 Pam Brown photo of bee on clover, 25th June 2015, probably a Tree Bumble Bee. 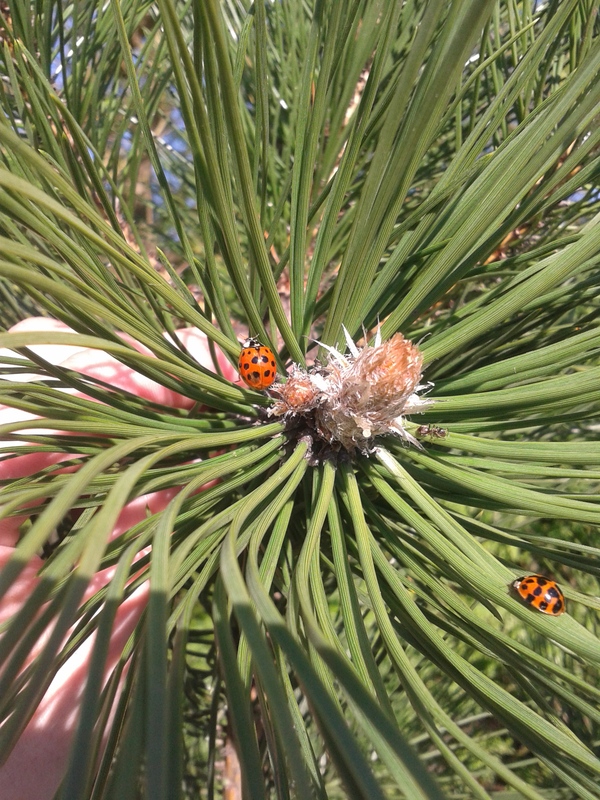 Dave Moore’s photo below shows Harlequin ladybirds (invasive species) on a pine in April 2015. 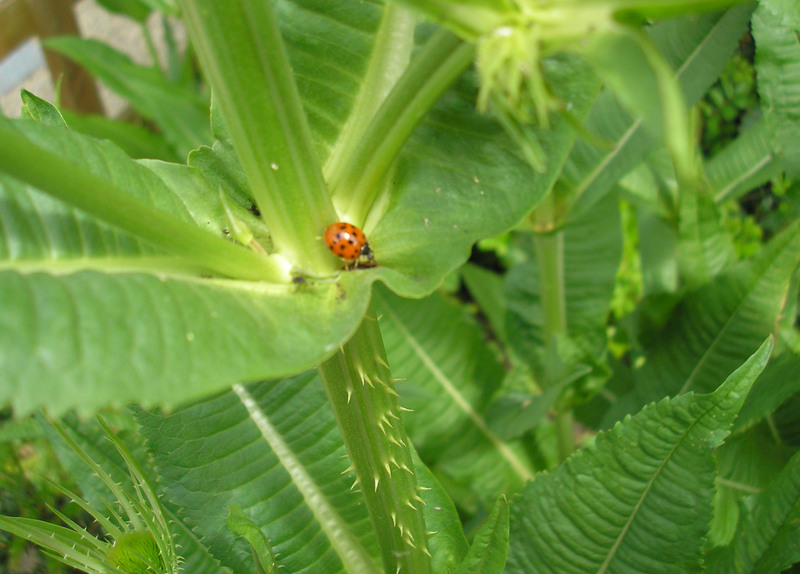 14 Spot on Teasel at end of June, 2015. 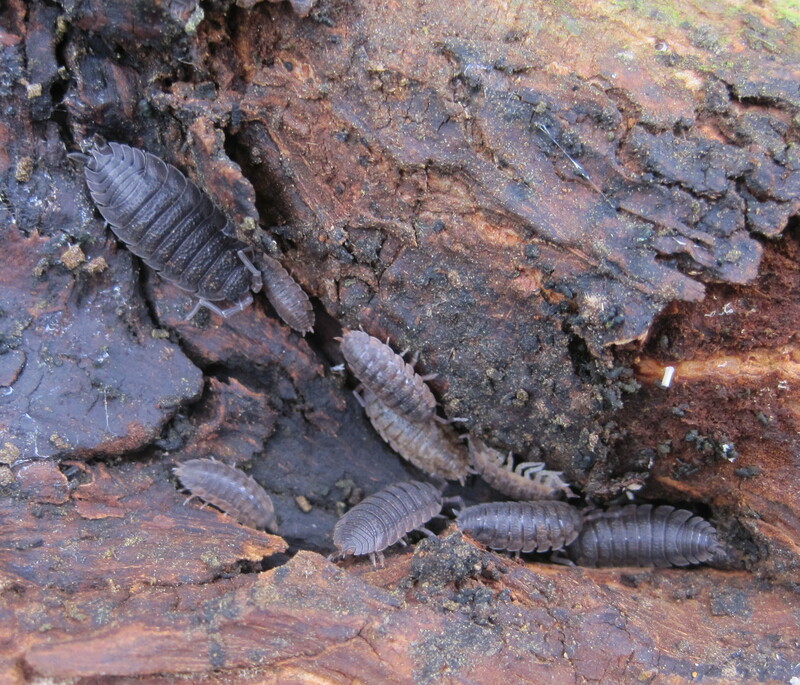 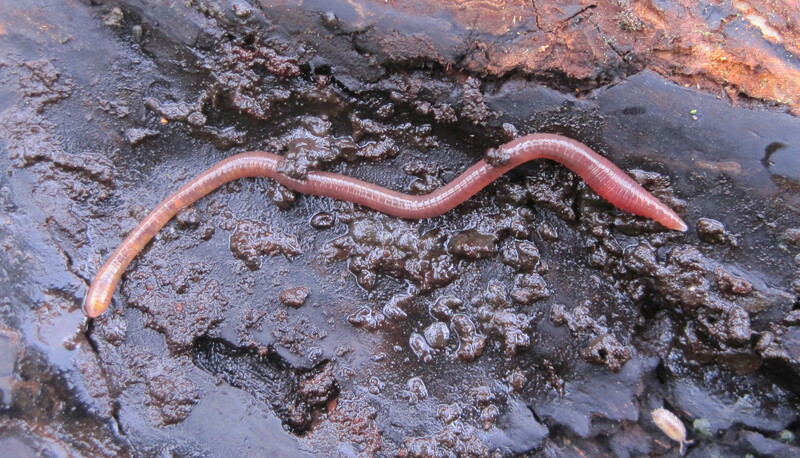 Pill woodlouse (top) and garden snail (lower photo), September 2014. 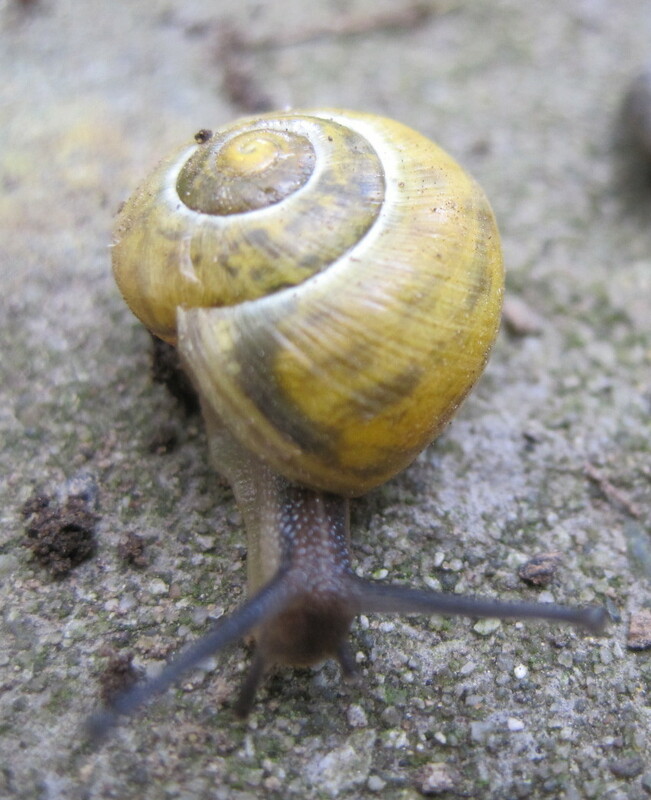 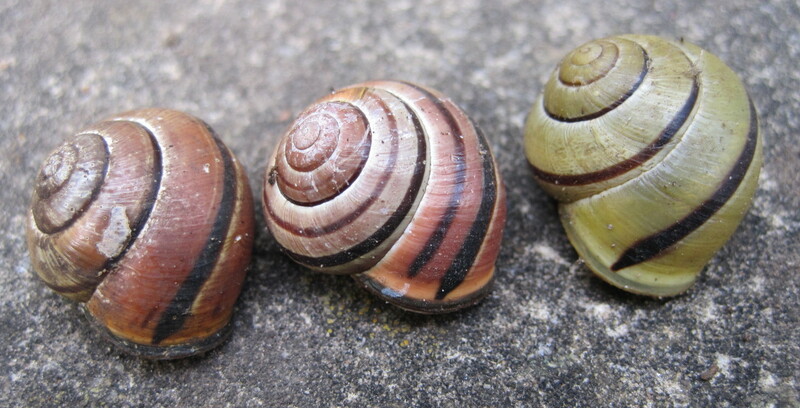 Shells of brown-lipped or grove snails, September 2014. 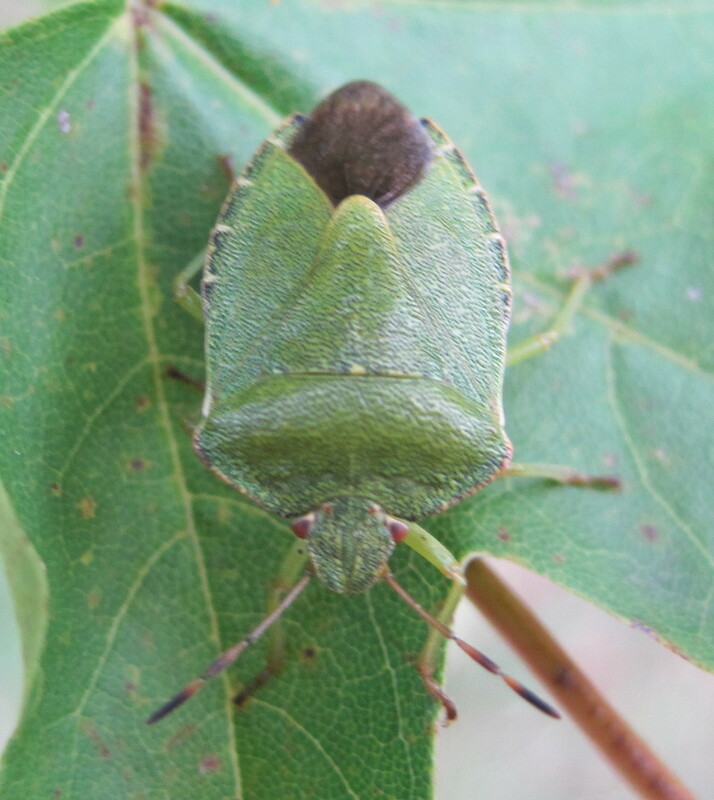 Crane fly (left) and nymph stage of green shield bug (right), September 2014. 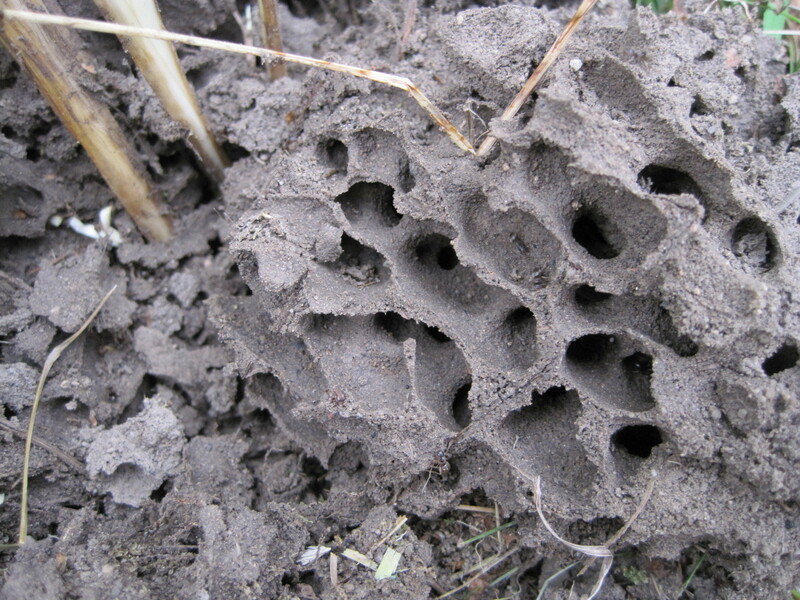 Section through an small black ants’ nest, September 2014. 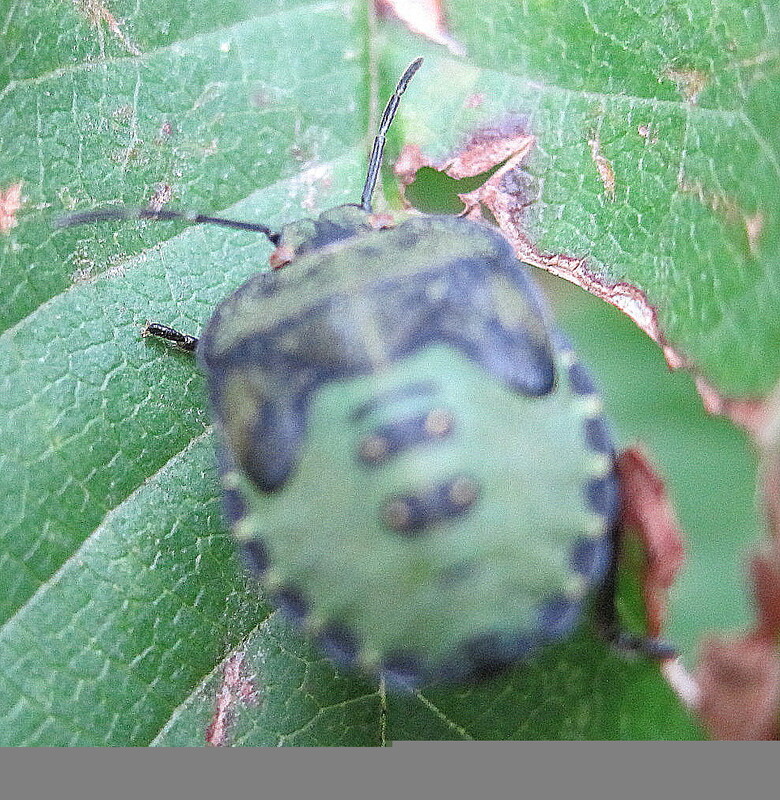 Shield bugs on field maples, September 2014. 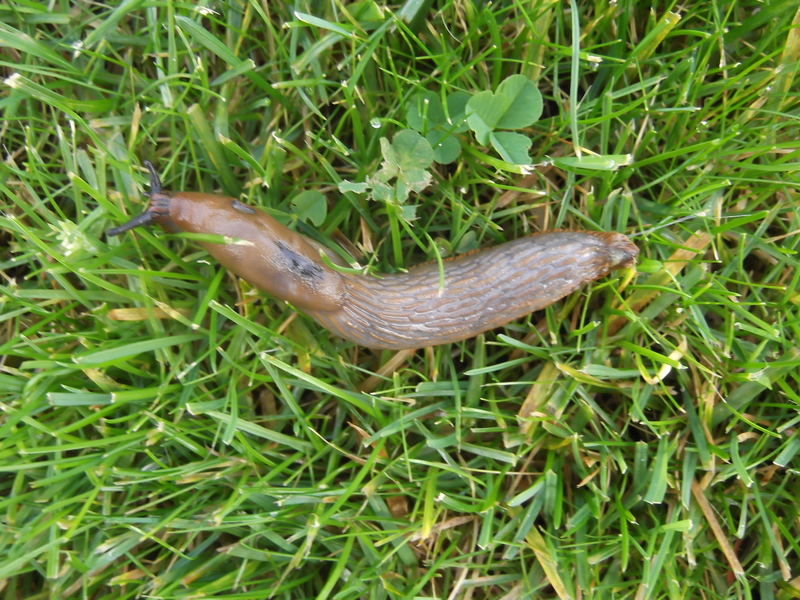 One type of slug quite common on the Mayfields site. 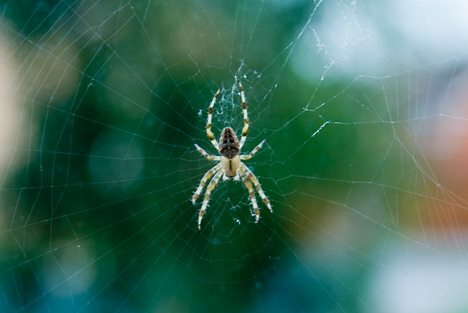 Thanks to Andrew for this spider & web photo (September 2014).